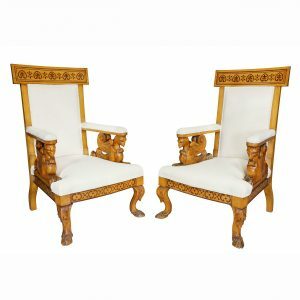 Each with carved acanthus finials upholstered backs and seats, scrolled arms raised on square legs with carved stretchers. Fogg Estate, Brookline Ma. In good condition with some restoration and replacements. Sturdy and usable.